And Poppy's not the only one with a secret. Each of her new friends at the factory is hiding something painful. Vera Shadwell, the forelady, has had a hard life with scars both visible and concealed; her sister Daisy has romantic notions that could get her in trouble; and Sal Fowler, a hardworking mother who worries about her two evacuated boys for good reason. Bound by ties of friendship, loyalty and family, the devastating events of the war will throw each of their lives into turmoil but also bring these women closer to each other than they could ever have imagined. 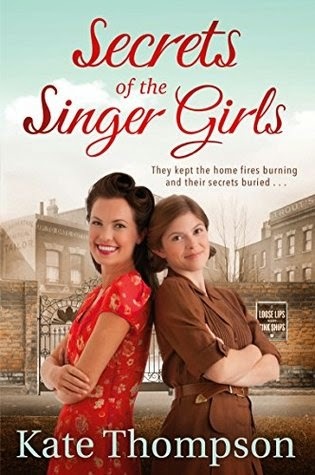 Review: Secrets of the Singer Girls is the story of four girls working in a textile factory in the East End during WW2. You can tell that there's been a resourceful research behind this novel. 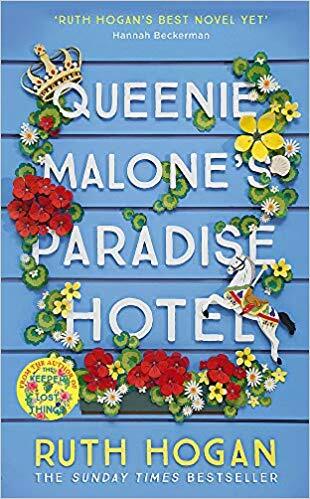 And Kate Thompson's style is so descriptive and detailed, that you can actually picture yourself in the middle of the filthy half destroyed streets around Bethnal Green but also feel the closeness and camaraderie in the community, how everyone was ready to help and try to cope together during those hard times. Each of the fours girls has her own story and secrets and as the story unfolds and their friendship grows, we discover their secrets but also their fears and dreams. It would be difficult for me to chose a favourite character between these four because I loved them all, Poppy was the sweetest country girl that ever landed in London. Always trying to please, it was a beautiful experience to see her grow so rapidly during the story. Sal was a force to be reckoned with, with her fiery red hair she was a joy to read. She really deserved more than life had reserved her. And the sisters Vera and Daisy were so different but so similar at the same time, strong women who wanted to be loved and have a better future. Daisy's epic romance was really unexpected and I couldn't help but root for them, even if their love was impossible from the start. A great part of the story centers in the Bethnal Green tube disaster of 1943, where 173 people died trying to hide in the underground. It was hushed by the government for the sake of people's morale. It certainly broke my heart a little reading about it. People who had survived the blitz, rationing and poverty to die in such a sad way. So I'd like to thank Kate Thompson for sharing with us, I for example had not heard about this disaster, this bit of London's history. I'm sure it will leave no one indifferent. Secrets of the Singer Girls is a brilliant and enthralling read that I highly recommend. Difficult to put down and beautifully written, you will care for these woman and this community like you were part of them too.